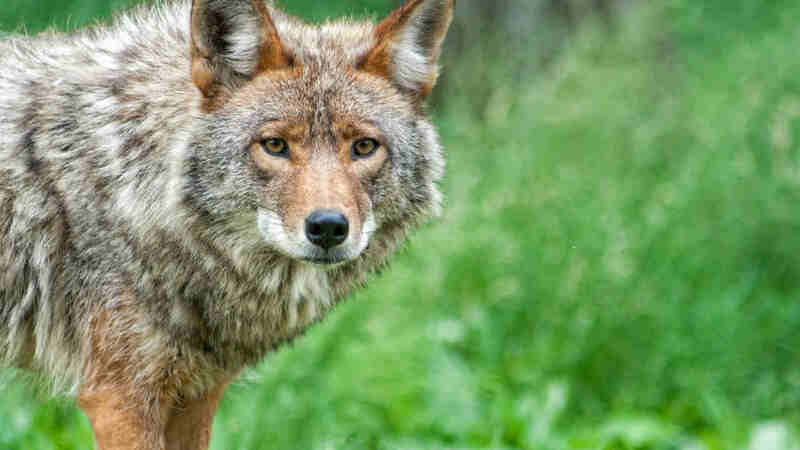 SAN FRANCISCO -- Two trails in San Francisco's Presidio have been temporarily closed to dogs following reports of aggressive coyotes in the area. The Presidio Trust, which oversees the preservation of the historic military post on the northern end of the city, is closing the Park Trail between West Pacific Avenue and Crissy Field and the Bay Area Ridge Trail between Arguello Boulevard and Rob Hill Campground to all dogs, both on- and off-leash. Coyotes are protective of their pups and behave aggressively toward other canines during pupping season, Presidio Trust officials said today. The trails will reopen to dogs in August or September after pupping season ends, according to the Presidio Trust. Anyone who has an encounter with a coyote in the Presidio that causes concern is asked to report it to the Presidio Trust coyote hotline at (415) 561-4148 or by clicking here. More information on coyotes in the Presidio can be found at www.presidio.gov/coyote.